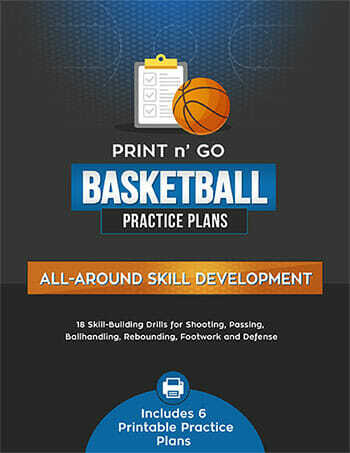 These [tag]coaching basketball conditioning drills[/tag] stress physical conditioning, passing, shooting, rebounding and defense. Use the full length of the court. Three players start out at the baseline on one end. They are spread across the floor equal distances and the middle one has the [tag]basketball[/tag]. Two players face them under the opposing basket. The three players with the ball “fast break” maintaining their lanes until they reach the defense. 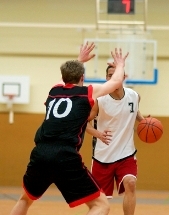 The center player decides whether to pass the ball or drive the lane to shoot depending upon when the defense decides to do. TIP: best way for the defense to set up is one player at the free throw line or even at the top of the key and one player directly behind him/her in the lane. When they see what the offense is going to do they must react. 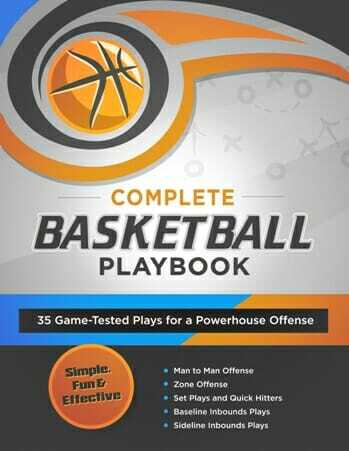 Whichever player on the offense makes a basket or loses the ball to the defense (could be a defensive rebound off a missed shot) plays defense going the other way. 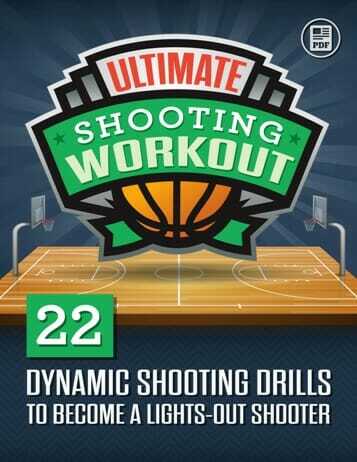 The return [tag]basketball drill[/tag] is 2 on 1 with the 2 players originally defense playing offense.